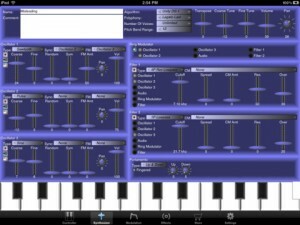 Unity synthesizer can create professional quality synth sounds with on screen or external MIDI keyboard. The base configuration includes two synth engines (Retro AS-1 analog and Unity DS-1 sample playback) and twenty three audio effects, along with seven sound banks including General MIDI, Best of Retro AS-1, Pipe Organ, Rock Pop drum and percussion loops banks. An arpeggiator, sequencer, and scales can be used for real-time MIDI playback. 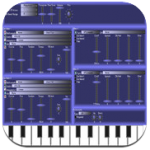 Additional in-app purchases include sound libraries and banks, synth and effects parameter editors, appearances, arpeggiators, sequences, and scales. Fourteen synthesis engines along with twenty three audio effects are part of the complete package. All synthesizer, modulation, and effects parameter editing is supported to edit existing sounds, or create your own new ones. User banks can be stored to iCloud, allowing you to access your custom sounds from all of your iOS devices. Standard MIDI file sequences are supported via the Document folder accessed via iTunes. All synthesis engines include a complete modulation matrix. 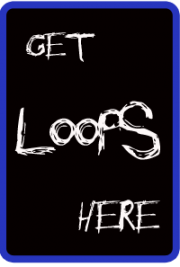 Modulation sources include MIDI controllers as well as the envelopes, LFOs, ramps, and random generators. Modulation destinations include volume and pan as well as synthesis engine specific ones such as the AS-1 filter cutoff, or CL-1 breath input. Modulation routings route a source to a destination by an amount with optional tables or smoothing.